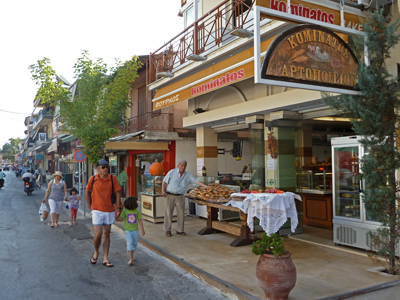 Europia and Dimitris Kominatos in 1939 with a lot of love for their work put the foundation of today’s Kominatos Bakery at Nydri Lefkada. 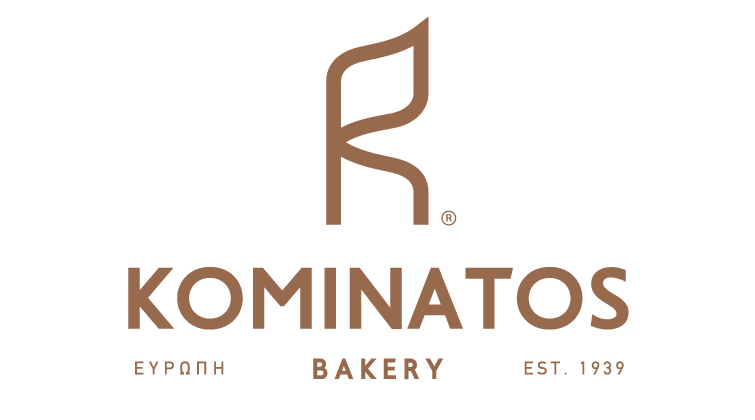 Efthimios their son, as he was raising inside the flour and the wheat started to have a big dream about the future of their parents company and decided to make true his own dream to combine the tradition with technology. 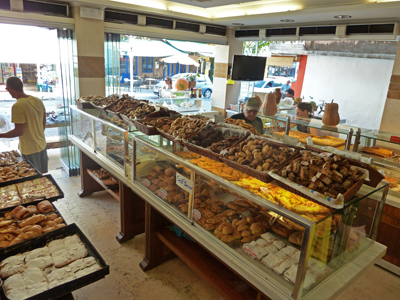 With the best equipment of our ages, with high quality standards and pure materials make for you a wide variety of products. 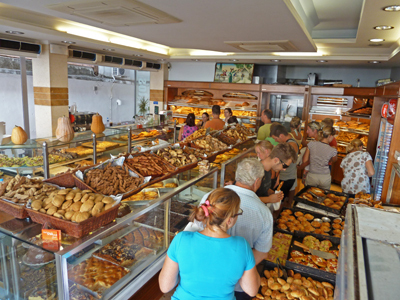 While tradition is important at Kominatos Bakery, so are the current needs and trends of the ever changing customer. 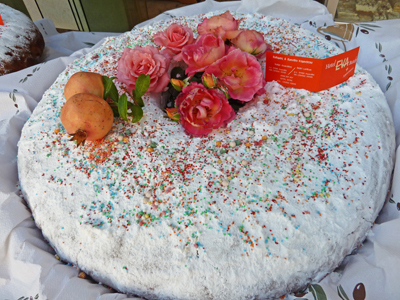 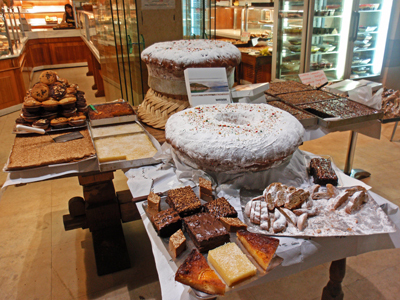 New products such as an entire line of breads, pastry, sandwich, pizza, calzone, ice creams. 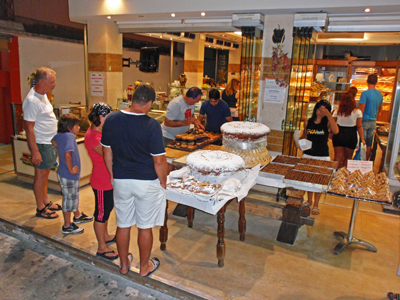 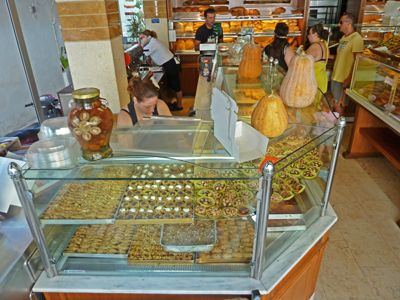 The variety of the products at Kominatos Bakery at Nydri Lefkada was so big that we didn't know what to buy first.